Getting a traffic tickets are is never fun, but by taking an Alameda traffic school course, you could avoid higher insurance rates and actually have some laughs at the same time with Traffic School By Improv's humorous "Edu-tainment" based course. Pay your citation. If you pay your citation, you will be satisfying your financial obligation to the court; however, by making payment on your ticket, you are essentially pleading guilty to the violation. As a result, the violation and associated points will be posted to your motor vehicle driving record for a period of three years, which will result in an automobile rate increase for the three-year period. If you choose to pay your traffic ticket fines, make sure to pay on or before the deadline indicated on your ticket or the court will impose additional penalties. The Alameda County Court also allows you to request an extension of time to pay the fines. Contest the citation. If you feel you are not guilty of the violation with which you were charged, you may request a court trial, at which time you will present all documents, facts, evidence, and witnesses that support your case to the judge or other court magistrate. The police officer that issued your ticket will be subpoenaed to do the same. You also have the right to be represented by an attorney on your behalf. a)	Appear in court on a walk-in basis and plead Not Guilty. b)	Contact the court to schedule a trial date at which time you will plead Not Guilty and the case will most likely be continued to a future date for trial. c)	Request a Trial by Written Declaration. This option does not require you to appear in person to court. To do this, complete and mail a Trial by Written Declaration form containing your written statement which explains the facts of the case. You may also include any documents that could support your case. The police officer that issued you the citation will be subpoenaed to submit a written report. The Commissioner will review all documents and information submitted by both parties and a ruling will be made. You will be notified of the ruling by mail. If the judge rules in your favor and declares you to be innocent of the violation with which you were charged, a dismissal of your traffic ticket and refund of your fines will be ordered. Trial by Written Declaration is not available for accidents, misdemeanors, non-traffic local ordinance violations, or violations that require mandatory court appearances. Complete a DMV-approved Traffic Violator School Course. Attending a California DMV Licensed Traffic School is the best way to handle your Alameda County traffic ticket because the points from your citation will be masked from your driving record which means your auto insurance rates will not go up. You may request to attend traffic school to get your traffic ticket dismissed. You will still be required to pay the ticket fine amount in its entirety plus an administration fee for traffic school processing. When paying the bail amount of your Alameda county traffic ticket, you will be given the option to take an Alameda County traffic school. CA Traffic School Online is the best option because you can complete it anytime from your own home and can do so at your own pace and around your busy schedule. You may pay your Alameda County ticket fines using Visa or MasterCard online using Alameda County Clerk's Online Payment System. VISA and MasterCard accepted. 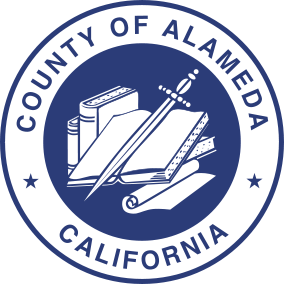 You may pay your Alameda County ticket fines using Visa or MasterCard via telephone using Alameda County's Automated Payment Phone System at (866) 822-0560. Please Note: There is a $7.95 convenience fee to use this service. Mail the courtesy notice stub and a check payable to Alameda Clerk of the Court to the court address listed on the notice. In lieu of a check, you may also use a Visa or Mastercard by completing the credit card information section. Be sure to include your citation or docket number on your check and any additional enclosures. As of July 1, 2011, the CA DMV will only allow one traffic conviction (including violations carrying no points) in an 18-month period to be masked from your driving record by taking traffic school. Attending an Alameda County traffic school is a huge financial benefit because your auto insurance rates will not skyrocket. Why? Because taking Alameda County traffic school will mask your citation and associated points so that your insurance company will not be able to see it. If you have an Alameda County traffic tickets, Improv makes it not only fun, but also simple to complete. The course is 100% online and you can take the course as your personal schedule allows whether it be all in the same day or over a period of time. If you log out of the course, simply log back in when you are ready to resume and you will resume right where you last left off. We report your completion the same day to the Alameda Court and to the California DMV at no additional charge. If you hold a CDL, you were not driving a commercial vehicle at the time the violation was issued. Your citation was in connection with a moving violation. "Fix-it" tickets are not eligible for traffic school. At least 18 months have passed between the date of your last violation for which you took traffic school for ticket dismissal purposes and the date of your recent violation. The violation must carry only one point. The violation must not require a mandatory court appearance. The Violation must not involve drugs or alcohol. If the violation is for speeding, violations must not involve speeding in excess of 25 miles per hour over the speed limit. You will be given 90 days to complete your Alameda County traffic school. Select the best Alameda County online traffic school for you. Once you complete the Alameda County online traffic school, you're done! No need to submit a copy of your certificate to the court because we electronically report your completion to the Alameda County Court and to the CA DMV for you the same day! You may download and print a Completion Receipt for your records 30 minutes after completing the course.